Washington, DC –Today, Reps. Jackie Speier (D-San Francisco/San Mateo) and David P. Joyce (R-Cleveland), along with 16 of their colleagues, introduced a bipartisan resolution to raise awareness of and advocate for increased research funding for diffuse intrinsic pontine gliomas (DIPG) – a highly aggressive and difficult to treat pediatric cancer brain tumor. H. Res. 114 would recognize May 17th as National DIPG Awareness Day and call for expanded research for treatments and care for children with this deadly disease. 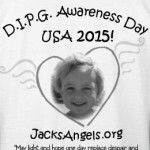 Each year, some 200 to 400 children – typically between the ages of 5 to 9 years old – are diagnosed with DIPG. Less than one percent of its victims live more than five years after diagnosis and the median survival time is only nine months. 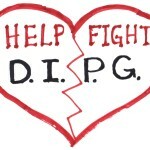 Despite being responsible for the most pediatric brain tumor deaths each year, DIPG has not garnered significant attention from the media, researchers, or the government. As a result, parents are regularly told there is little that can be done for their children. But there is hope. Recent studies, supported in part by the National Cancer Institute, have identified potential therapeutic targets for DIPG brain tumors. This type of research buttresses the development of drugs that could help to slow tumor growth. The resolution was first proposed by Janet Demeter, a California resident, who lost her son Jack to DIPG in 2011, and later established the Jack’s Angels Foundation in his memory. Since then, Demeter and the DIPG Advocacy group have succeeded in getting 31 states to establish DIPG Awareness Day resolutions and continue to work tirelessly to make sure that the children and families affected by this deadly disease receive the national recognition they deserve. As a Co-Chair of the Childhood Cancer Caucus and Co-Chair of the Biomedical Research Caucus, Rep. Speier has a long history of supporting critical investments in medical research at the National Institutes of Health (NIH) and the Department of Defense (DoD). The Congresswoman also remains committed to working with her colleagues on both sides of the aisle and the foundation to make DIPG Awareness Day a reality. A copy of the text of the resolution is attached to this press release. Biomedical Research Caucus, David Joyce, Department of Defense, DIPG, DIPG Awareness Day, HRes114, Jack, Jack's Angels Foundation, Janet Demeter, National Cancer Institute, National Institutes of Health. Bookmark.